Your farm is unique. You must make decisions based on your crops, growing on your land, in the unique conditions that are found only there on your property. EnviroMonitor will let you create a system precisely suited to deliver the information you need. With your micro-climate data in the Cloud, you'll be able to access it from your PC and mobile devices. Our WeatherLink.com site allows you to customize your dashboard, perform in-depth analysis with reports, charts and graphs, export data and much more. Easily access your data with Mobilize, our free, intuitive, decision-making app that puts field data in your hands. 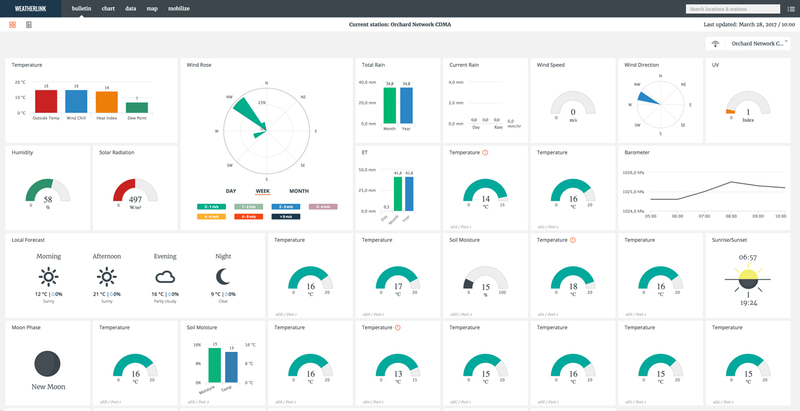 Customize your screen views, quickly browse sensor data, view forecasts, frost information and alarm set up and more. Make Data-Driven Decisions - Use real-time, field data based on your micro-climate to make decisions on what matters most. Custom Alerts - Create custom alerts specific to your climate and conditions and have them sent to people you designate. Third-Party Sensors Welcome - EnviroMonitor is compatible with Davis sensors as well as dozens of popular third party sensors. 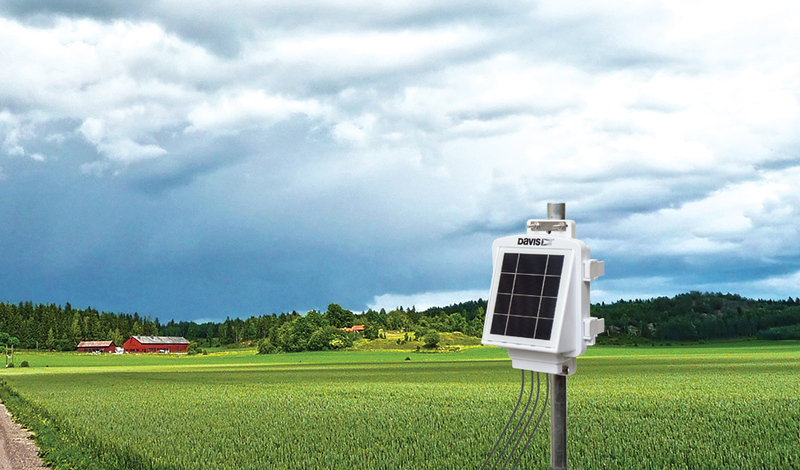 The EnviroMonitor Gateway collects all data from the Nodes and pushes it securely to the Cloud using cellular connectivity. From there, the data can be accessed on your smart devices and computers. The Gateway is encapsulated in a weather-resistant housing and is solar-powered with a battery back-up to keep your data flowing. You can gather data from up to 20 Nodes per Gateway. That's up to 80 Davis and third party sensors per Gateway! And because the Nodes can communicate up to 1200 meters in ideal conditions, you can cover a lot of ground with one network. Nodes gather data from sensors and communicate with each other (up to 1200 meters). 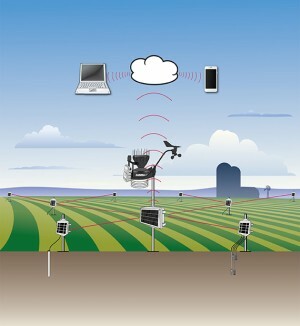 They connect over a self-optimizing mesh network that feeds your data wirelessly to the EnviroMonitor Gateway. 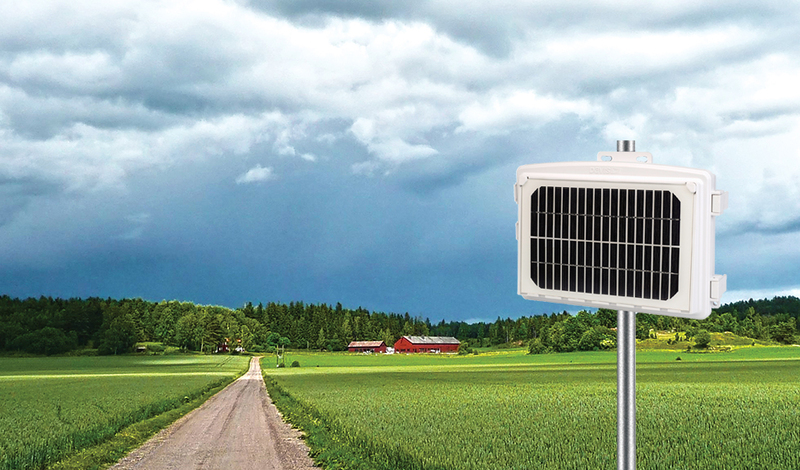 Every Node is a self-contained, weather-resistant, solar-powered unit that comes with mounting hardware. You can have up to 20 Nodes in one network. Additional nodes can be added to your system at any time. Easily access your data with Mobilize, the free, intuitive, decision-making app (available for iPhone and Android devices) that puts field data in your hands. 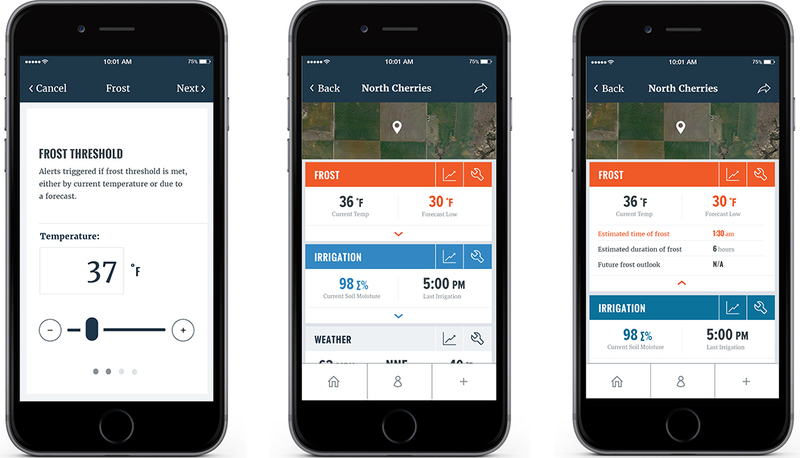 Designed with your needs in mind: customize screen views, quickly browse sensor data, view forecast, frost info and more. Your data can be easily accessed via WeatherLink.com, a secure site dedicated to your weather-viewing needs. It displays current conditions, sensor status, and makes running reports a snap. Our WeatherLink.com site allows you to customize your dashboard, perform in-depth analysis with reports, charts and graphs, export data and much more. Customize the dashboard to your preferences; even share data privately with others.